How are your language skills? Can you just about get by? Perhaps order a coffee or a beer…you know, the essentials. Or are you able to justifiably include a range of languages on your CV or LinkedIn profile. While always willing to have a crack my language skills are pretty poor for a professional communicator. Happily they have frequently brought laughter to many around the world. To make myself feel slightly better I’m far from being on my own in being constrained to English and a few choice phrases. A recent survey had over 60 per cent of Brits not able to hold a conversation in another language. This compares to half of Europeans able to hold a conversation in at least one additional language and a quarter are able to speak at least two additional languages. It isn’t something I’m proud of, particularly as meeting new people is one of the great joys of life. This all brings me to this weeks award winner: An artificial-intelligence powered earpiece that can translate spoken conversations providing near-instant translation. The Translate One2One uses technology from IBM to not just understand the words being used but also the context in which they are being spoken. 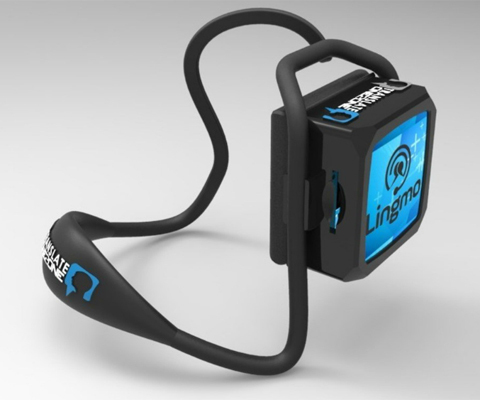 The device translates conversations in English, Japanese, French, Italian, Spanish, Brazilian Portuguese, German and Chinese as long as both speakers are wearing an earpiece. You’d expect this kind of technical brilliance to cost a good few quid but it has gone on sale for about £150 and reviews suggest it actually works. What makes Translate One2One so brilliant is that we can now all be great communicators every day in whatever language we choose. No more speaking, loudly and slowly required. That makes Translate One2One my Communicator of the Week.